Today I want to write about a very exotic fish, the zebra shark. These beautiful sharks can grow to up to 3.5 metres long. They get their name from the stripey pattern that is found on young zebra sharks. 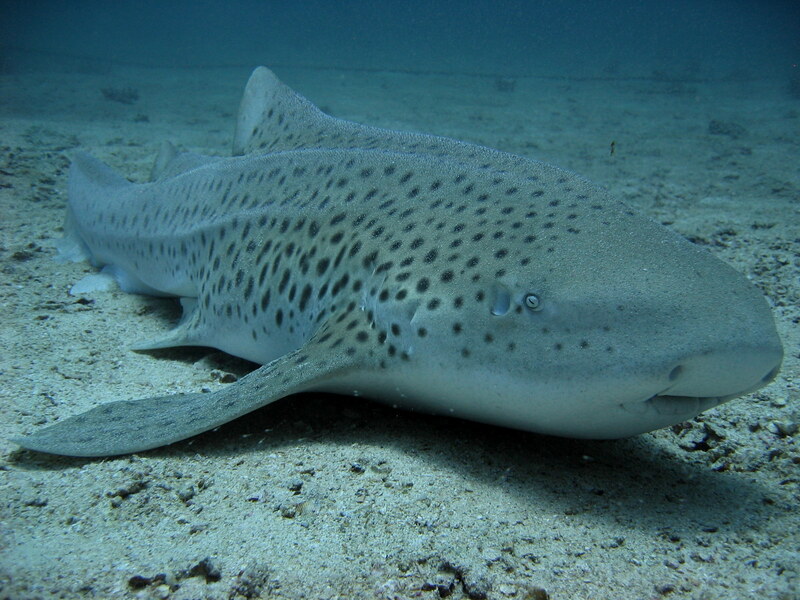 When they grow older, they become more spotted, which is why they are also called leopard sharks, although there is another species of shark with that name, so they are more often called zebra sharks. During the day, these guys rest on the sea floor. At night time, they come out and swim slowly around as they hunt for sleeping fish, molluscs, crabs, shrimp and squid. Even though they are very large sharks, they are completely harmless to people. Zebra sharks are found in warm and tropical waters throughout the Indian Ocean and west Pacific Ocean. Unfortunately, they seem to have dropped in number throughout most of their range, except in Australian waters where they are still reasonably common. Are there any other interesting facts that you would like to share about zebra sharks?